Profession: Dr. Auerbach, also known as Dr. Toy, is an expert on children’s play, educational toys, games, and related products. 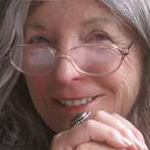 She is the author of 16 books for parents, professionals, and children. 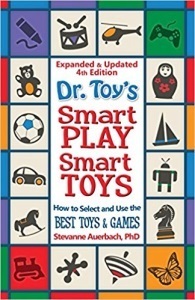 The 4th edition of Dr. Toy’s Smart Play/Smart Toys has been published in 12 countries and soon in Japan. A. Union changed my life. I was working as a program specialist in education for the federal government, and was the first woman to receive a long-term training fellowship that launched my doctoral studies. Life was never the same. The learning trajectory of Union was revolutionary at the time and has proven itself to be a viable one for many self-directed learners like me who thrive and evolve in an independent program, and who are personally more creative in an open-ended structure. When I look back not only at the work I did, but at everything else I am very satisfied that it was the best decision I ever made. I graduated with a BA from Queens College, completed an MA at George Washington University, and enrolled for classes at the University of Maryland, but the experiences were vastly different at Union. Since graduation, I have been widely published in books and many hundreds of articles, established unique expertise, and have provided a variety of beneficial services that have contributed to many in my chosen fields. A.  To sum it up, Union means to me: Unlimited potential, Notable experiences, Independent learning, Open-ended learning, and Networking. A. Be open to and respect others, as we learn and grow from our interactions with those we encounter; each person has value, history, and experiences to share. We gain knowledge from the combination of books, research, experiences, relationships of family, friends, strangers, and from our peers of all ages and backgrounds, as well as our successes and failures. I gained a great deal from maintaining a journal during the entire program, and while it was challenging to maintain, years later I drew from it to prepare chapter eight – California Dreaming, about Union in my novel/personal memoire, The Contest. Q. What would you say have been your greatest accomplishments? A. Hard to pinpoint so allow me to briefly clarify the turning points: While working for the federal government I am proud that I approved the first federal funding grant for the Children’s Television Workshop, “Sesame Street,” when I worked for then, Commissioner of Education, Dr. James E. Allan. I also worked to establish the first childcare center for children of federal employees, in the Office of Education (now DOE) which served as the model for the entire federal government. After I worked to plan and develop a national $2.5 million R&D Program in childcare for the Office of Economic Opportunity, Office of the President. I facilitated plans for the Day Care Forum for the 1970 White House Conference on Children where child care rose to top priority. I testified on “the need for childcare” to a congressional committee for the first comprehensive child care legislation approved by bi-partisan vote, but sadly later the bill was vetoed by then President Nixon. In 1986, I founded and directed the San Francisco International Toy Museum, the world’s first interactive toy museum. More than 50,000 children visited and played in this unique hands-on museum between1986 and 1990, when the Loma Prieta earthquake forced it to shut its doors. New toys for children to play with, as well as learning with the historical collectibles, were a mainstay of this unique museum. Since 1990 I created Dr. Toy™ Best Product Award Program evaluating children’s play and educational toys and related products. Based on my training and experience I select outstanding educationally oriented, skill building, and eco-friendly products from both large and small companies around the world for recognition. Millions of parents, teachers, and toy buyers use Dr. Toy’s guidance in making their toy, play and learning selections. Now as I wish to create a legacy I have been working to recreate the International Toy Museum. If anyone has an interest in toys, play and learning please contact me. A. I am passionate about butterflies and have been since childhood. 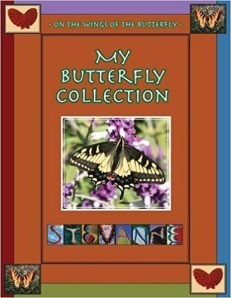 My Butterfly Collection: On the Wings of the Butterfly has recently been published and has been described as a personal journey about butterflies, the need to protect them, the resources they depend on to survive plus a selection of art and writing that reflects their beauty. We are working to create a documentary about the collection. Dr. Auerbach, Dr. Toy, is a leading professional on children’s play and educational toys and related products. She is the creator of Dr. Toy’s Best Products Award Programs. She is the author of 16 books for parents, professionals, and children including Dr. Toy’s Smart Play Smart Toys, Toys for a Lifetime, The Toy Chest, The Whole Child and Choosing Child Care. She has written hundreds of articles about play and toys for national and regional magazines, newspapers, and websites such as Family Circle, Huffington Post, Sears Toy Shop, Pearson Family Education, Club Mom, Playthings Magazine, King Features Syndicate, and others. Read more about Dr. Auerbach and her remarkable accomplishments in this profile by The Authors Guild.